The standard has been set, and now it’s up to the remaining hosts to match the show put on by San Lameer, hosting for the third time, after the South Coast club attracted a full house to kick-start the new Els for Autism series. With the organisers emphasising fundraising and spreading the message of what Els for Autism does in South Africa, it was no surprise that director of golf Meyer du Toit and his team pulled out all the stops in mid-December. ‘We knew it was going to be a challenge to adhere to the call put out by Nico van Rensburg for an even bigger and better event,’ said Du Toit. ‘The club and members came to the party last time out, so starting off 2019’s series in style was a challenge we relished. Ringo and Tedder became the first duo to get their name on to the list of finalists after they fired a stunning 52 points. Their standout display was enough to bag a comfortable win, with five points separating them and runners-up Jaco van der Walt and Piet Fourie. ‘We wish the Els team everything of the best for 2019 and we look forward to being a part of this incredible series again in December,’ added Du Toit. Beyond the golf and some amazing prizes to be won, the post-round festivities matched the holiday season vibe with much laughter and cheer deep into the night. 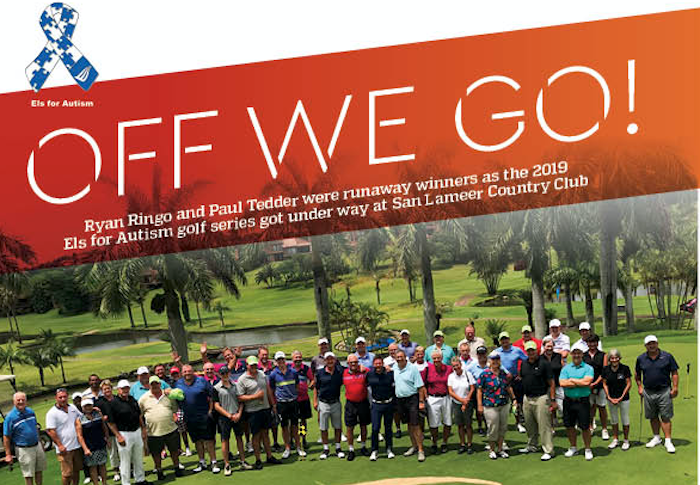 Existing and new Compleat Golfer subscribers stand a chance of bypassing the regional qualifiers through our new lucky draw for the 2019 series. For every R100 donated to Els for Autism South Africa, you will receive one entry in the draw for playing rights at the final at the Lost City. Full Ts & Cs will be posted online at compleatgolfer.com.